You don’t need a leprechaun for these pre-event promotions! 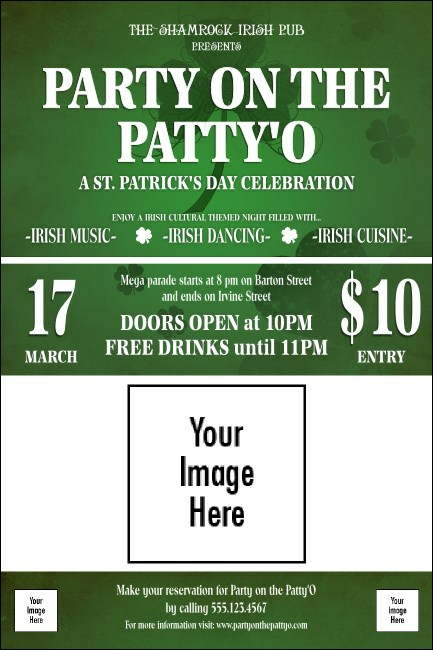 Get event advertising as valuable as a pot of gold when you print St. Patrick’s Day Shamrock Posters and post them in advance. With room to upload one large image and two small, you can advertise pictures of featured guests while paying tribute to generous sponsors. Find the best way to say “Kiss me, I’m Irish!” at TicketRiver.com.au.